Finding the perfect bag to tote all of your “stuff,” or just important essentials can require some research. I am very particular when purchasing a new a bag because they can sometimes be quite an investment and I want to make sure I will love it for several seasons. Here are ten of my favorite picks in all price ranges–there is something for everyone from boho chic to classic elegance! I bought the Lavin Amalia shopping tote a few years ago in a metallic taupe and it is still one of my year round go-to bags. You will have and love this one forever. The price is high but definitely worth the investment. The wildly popular Proenza Schouler PS1 bag is a modern classic. It’s a perfect every day bag and never goes out of style. I’m obsessed with the Donna leather bags from Alexander Wang. Check out the unique downtown style with all of the zipper detail, love the leopard print too! This is a casual and sophisticated every day bag made with the softest of leather! the bag comes in other colors and plain leather too! This LA-style cross body bag has a back slip pocket and is available in four great colors–black, emerald, navy and tobacco. 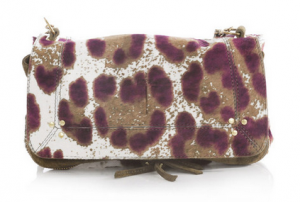 Lauren Merkin makes beautiful clutches that are priced well for their quality. This one covers two hot trends: it’s metallic AND cobra embossed. All of her clutches come with a shoulder chain inside, which makes it easy to wear when you are at a cocktail party and need your hands. 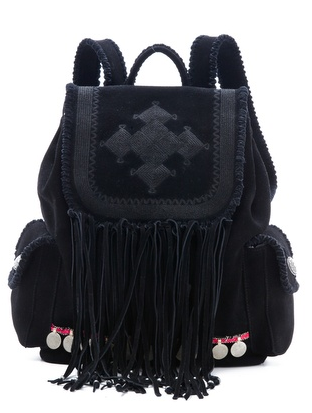 Rebecca Minkoff makes amazing bags and this adorably rebellious cross body one is ideal for holding just the essentials. It is perfect for casual days and lovers of skull accessories like me. You can really see Ivanka Trump’s taste and style here. A quintessential bag for the classic and elegant woman. 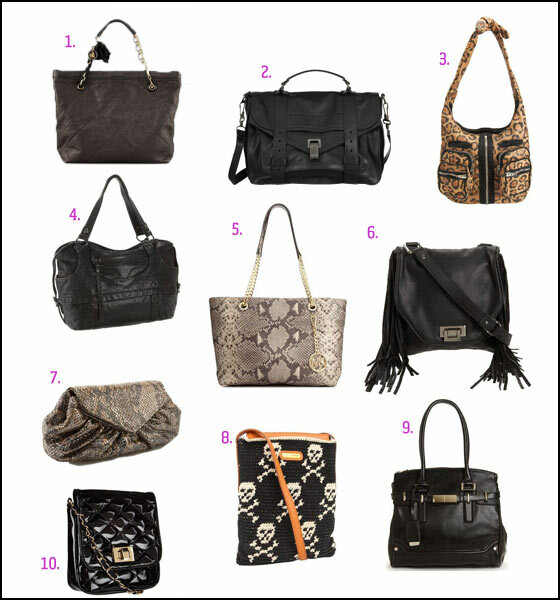 This little Aldo bag is so chic and great for when you just want to take the essentials: phone, lip gloss, cash and keys. 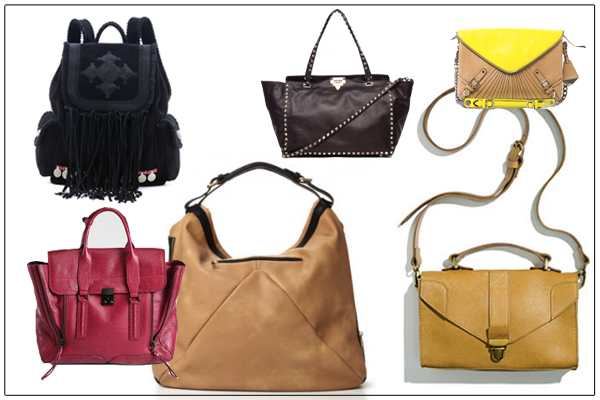 A great transition bag, to take you from day to night.